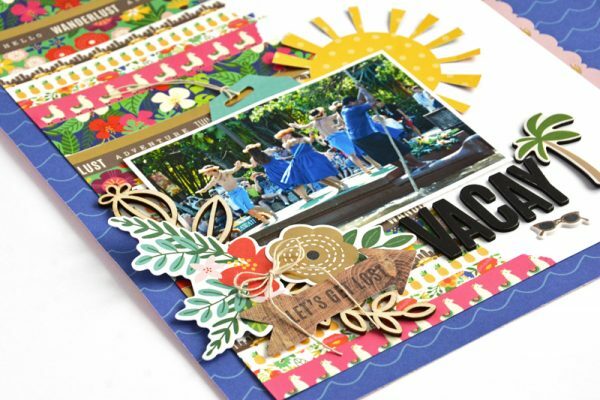 Vacay Layout with Chasing Adventures - Pebbles, Inc.
Hello Pebbles friends! Marcia here today. I am so excited to be sharing my first post with the fabulous Chasing Adventures collection by Jen Hadfield. This is such a fun collection! Perfect for capturing your adventures whatever they may be. The tropical elements in the collection were calling to me to scrap a photo from our Hawaiian vacation a few years ago. 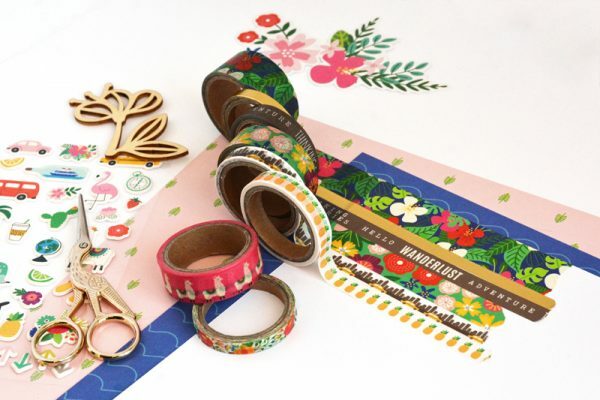 This layout design was inspired by the washi tape in this collection. I added strips of washi tape all along one edge of a 8.5″x11″ piece of white cardstock. I mounted my white piece of cardstock with the washi tape onto some pretty blue pattern paper that coordinated so well with my photo. A sun tucked behind my photo helps it to stand out against the busy patterns of the washi tape. 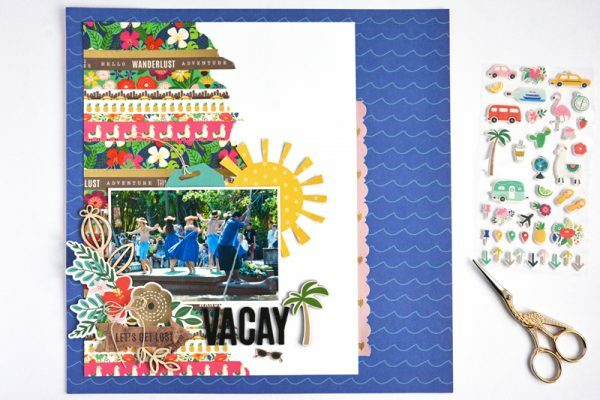 The Vacay phrase sticker and palm tree from the Adventure Thickers made for the perfect title. I couldn’t resist adding those cute sunglasses from the puffy sticker pack too. 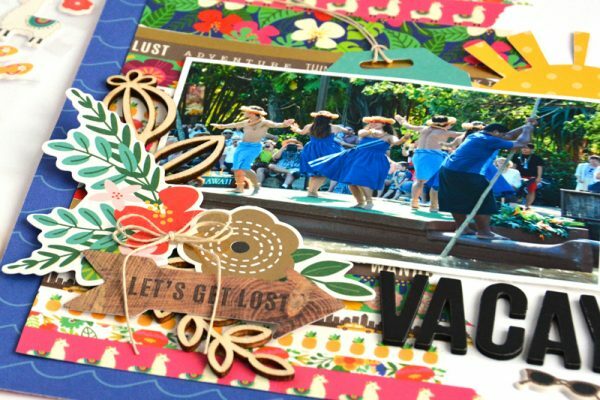 Hawaii has beautiful tropical flowers, just like these gorgeous floral die cuts I arranged opposite my title along with some wood veneer and the ‘Let’s Get Lost’ sign. I included a tag, tucked under the top of my photo, so that I could add journaling. Thanks so much for stopping by. I hope you’ll try creating a layout with a washi tape background too.